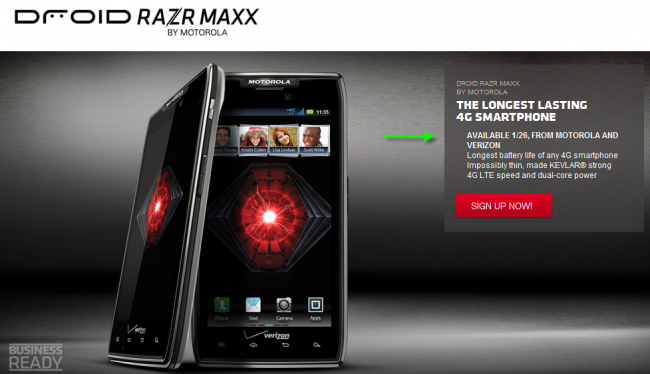 When Verizon and Motorola announced the DROID RAZR MAXX earlier in the week, they refused to get specific when it came to a release date and instead went with a “coming weeks” time frame. Maybe they should have read their own Motorola landing page for the phone as it lists January 26 as being the day. The price on contract will be $299. And don’t forget to check out our hands-on video with the device from CES.